﻿ How frozen food brands are placing themselves? The growing middle class, nuclear family system and working women in the family has given rise to different trends in the eating habits of people. Not only eating out has become a common preference, but frozen food or ready-to-cook and eat products are gaining consumers preference. The domestic food market in India is estimated to reach $258 billion by 2015 and the frozen food market is heavily dominated by organised players. For example – Mother Dairy stands out with 50 per cent market share in the vegetables segment as a result of the widespread popularity of its Safal brand. Similarly, the other key brands in the market like Venky’s (V.H. Group), Al-Kabeer (Al-Kabeer Group), Sumeru (Innovative Foods), Everfresh (Temptations Foods), Meatzza (Darshan Foods), and McCain Foods (McCain Foods India) have gained market share. Joining the brigade, global players like Tyson has recently partnered with Godrej to enter into the Indian market. Tyson is producing frozen food products in India under brand ‘Yummiez’. Darshan Foods, which entered the segment with brand Meatzza for chicken salami, chicken tandoori, and chicken fingers, have now spread its product portfolio by adding chicken patty, burgers, hot dogs and much more. The group produces about 150,000 kg of finished product per month. Due to the changing lifestyle and customer preferences, Indian market has opened multiple doors of opportunities for the manufacturers of freshly processed and frozen products. Demand is rising across India with growing number of working people and acceptance of frozen food is also increasing, with a lot of option to choose from vegetarian to non-vegetarian items. The frozen product is preferred due to its quality and easy availability. “People are shifting to various cities for work, where they prefer to eat something that they are familiar with. Consumption is increasing across India. No specific city has largest consumption per se. However, due to the presence of supermarkets, hypermarkets and cash & carry stores, which have the necessary infrastructure to display and sell frozen products, the demand is more visible in metros and mini-metros. Best Price and Metro in Zirakpur (Punjab) are witnessing growth due to its location advantage not only from Chandigarh, Mohali, but also from Shimla, Manali and other areas of Himachal Pradesh,” says Rajiv JaiSinghani, MD, Darshan Foods. Meanwhile, the frozen food segment is spreading its presence not only through the mom-and-pop stores, but can be seen in other retail formats as well. Godrej Tyson, which started selling its product under Yummiez is present across 68 cities in India and is aggressively looking to enter other cities as the changing consumer taste has encouraged the industry to innovate new products and enter new markets. 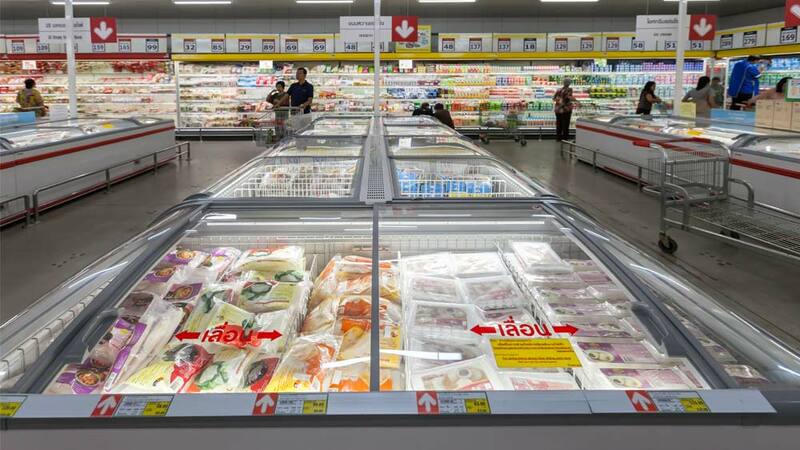 “Frozen food is both healthy and a comfort facility. It is a healthy quotient because you have preserved the freshness and nutritive value of the product. But if you look at comfort, then it gives you the convenience to store along with easy option to take out and use,” shares Arabind Das, COO, Godrej Tyson Foods. Apart from retail presence, the frozen food players sell their products to QSR chains, in-flight kitchens, hotels, restaurants, etc. Thus, we can say that despite the cold chain and supply chain challenges, the industry is growing at a very fast pace and is ready to enter the fast changing F&B industry to meet the demand. How to place your restaurants right?..